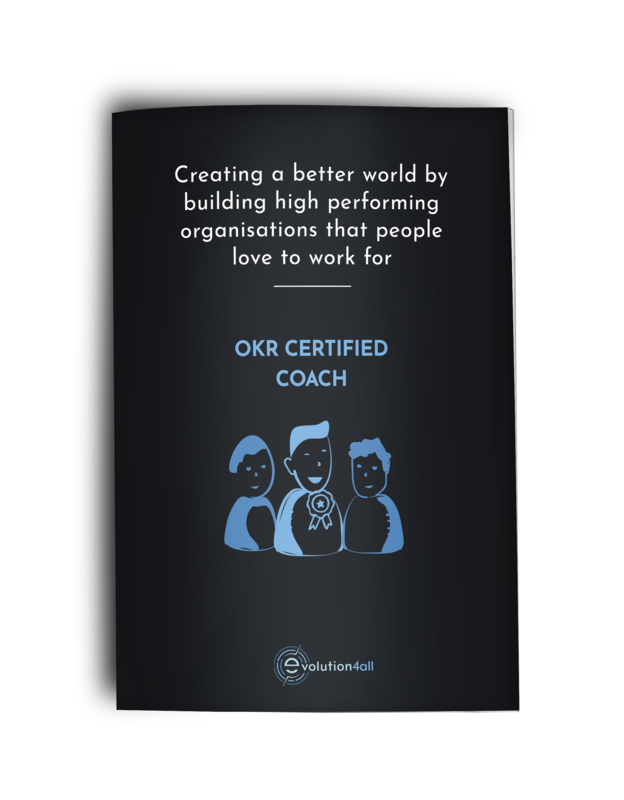 By becoming an OKR Certified Coach you will learn the essential basics of this Agile leadership method: Objectives and Key Results (OKR). The workshop is suitable for agile coaches, directors and executives who want to learn more about this framework and how to use it effectively for results. 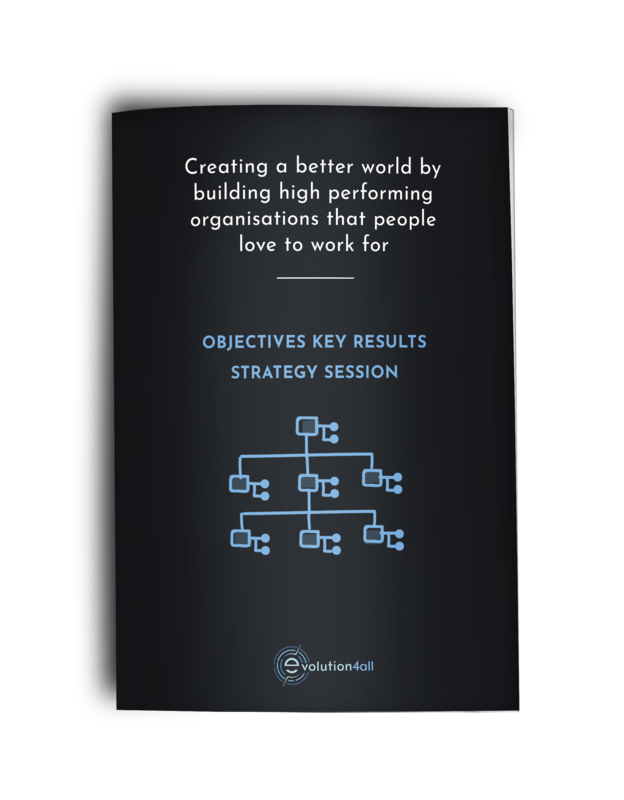 You will be able to accelerate your organisation’s progression towards success. Level up your performance with this one-day hands-on OKR session. Whether you’re a CEO, an executive, Ops manager, or a direct manager, using a proven system of OKRs is an effective and efficient way increase your team’s alignment with the company goals, measure performance, provide adequate feedback to your team, and to bring out better results. Our approach towards OKR Consulting differs from many other companies. We focus on providing results, not charging by the day. 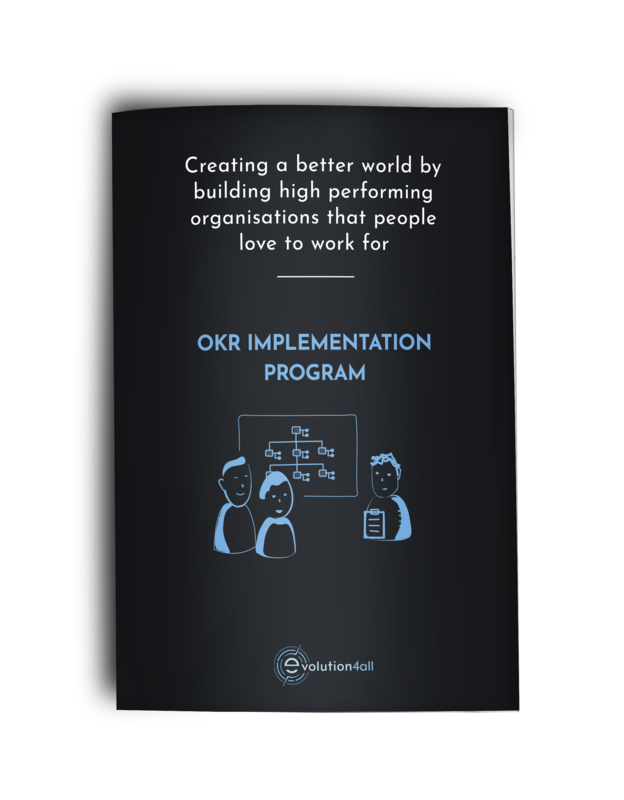 Below you can find all the products that we use in order to deliver OKR Consulting.